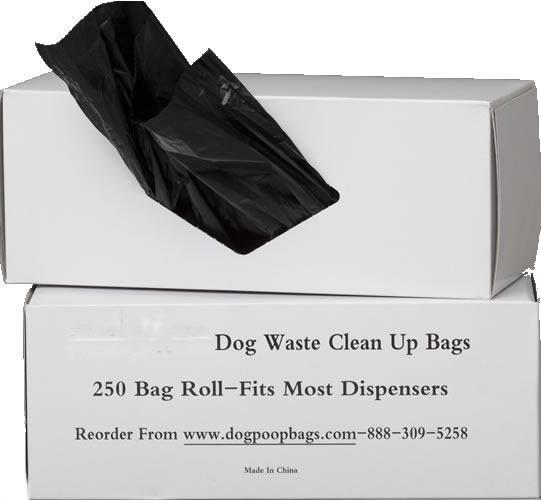 250 of our strong, unscented black bags - 8.5 x 15. The bags are.65 mil thick. We test these bags to hold 20 pounds - so you won't have any strength issues. Black, unscented - You won't see through them. Increase your capacity from 200 to 250 bags per rolls. Bag size is 8.5 x 15 inches.